"Macht Schluss mit dem Krieg, ihr idioten" (End the War, or Make Peace, you idiots). This was said by Field Marshal von Rundstedt to lacKeitel, sometime after the Normandy invasion. 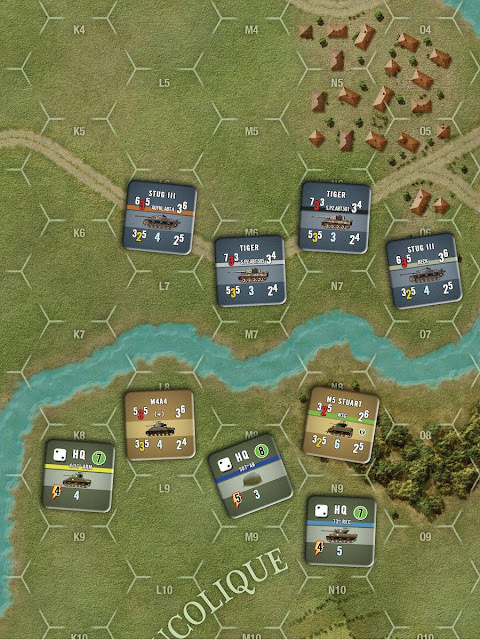 This is the second game of the 'Nations At War' series by Lock 'N Load that I have reviewed (the first was 'Stalin's Triumph'). 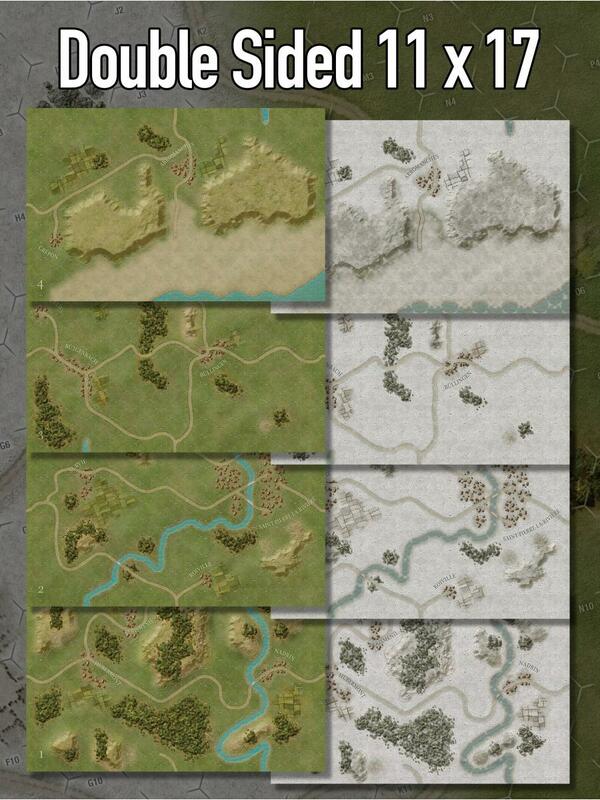 This game takes us to Western Europe and the battles range from the landings in Normandy to the end of the war. The name is a bit of a misnomer because it also includes counters and scenarios for the British troops who fought during the same campaign. I liked the game system in the first game, so let us see how it translates to this side of the continent. 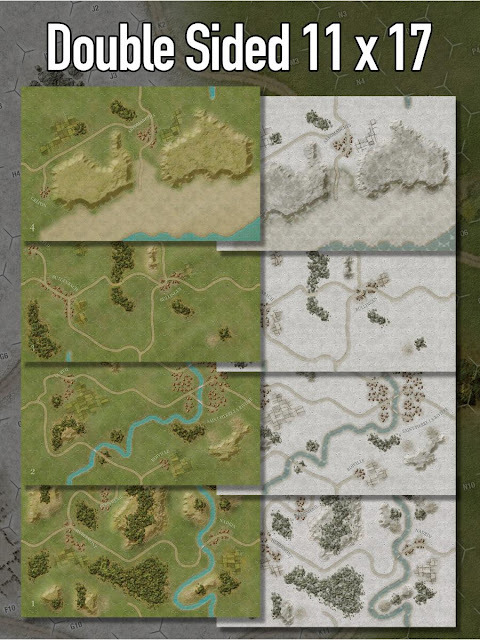 Four Double Sided Seasonal Maps. Four Counter Sheets with Over 350+ Counters. There is really not much more to say: The 'Nations At War' series from Lock 'N Load is a well done and thought out game. 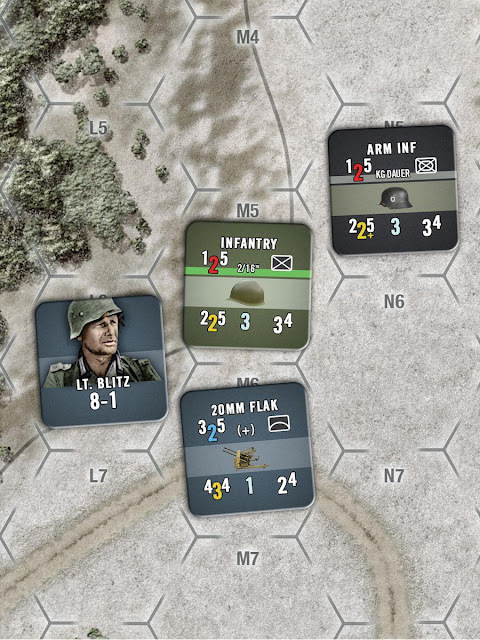 You really get the best of both worlds in these games, meaning that you are really playing a tactical game without all of the minutiae that come with tactical games. Not that there is something wrong with tactical games, just sometimes I know I am not in the mood for that many rules etc. 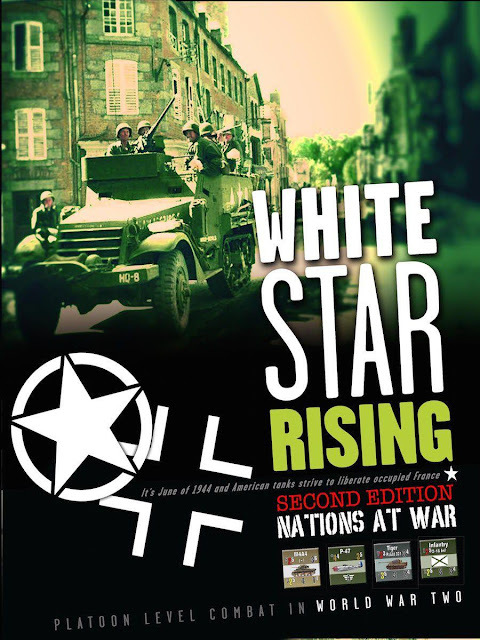 There were some incidences when the second editions came out with problems with the printing, rules, and some counters. I did find a paragraph in the rulebook about 'Line of Sight' that still needs to be fixed. The spacing in it is non-existent for the most part. From what I have read, Lock 'N Load was quick about sending out new counters etc., and did their best to make things right. The rulebook that came with the game was version 2.0. On Lock 'N Load's website they have posted a version 2.2. I will put a link at the bottom of the review. As I mentioned, I liked the first game I reviewed, 'Stalin's Triumph', a lot. This game is no different. 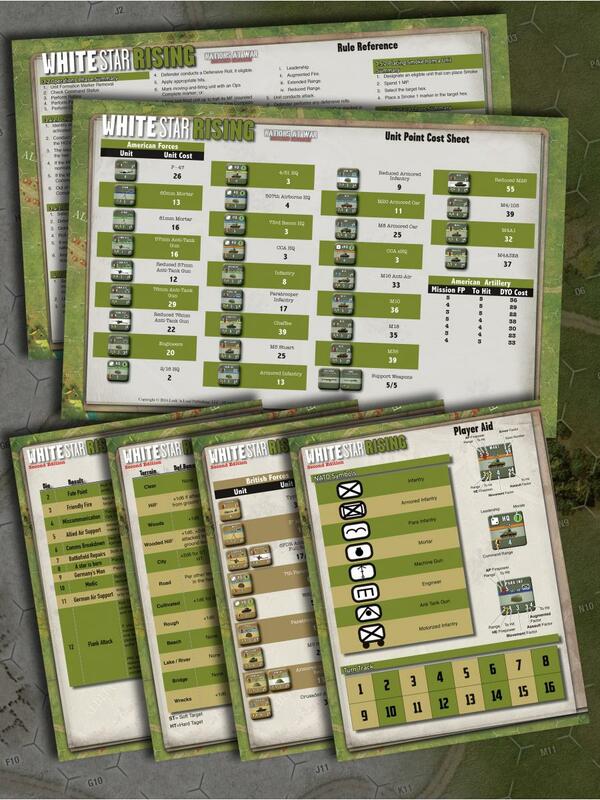 I can easily recommend it to anyone who has a hankering to play a platoon size late World War II Western Front game. One of my favorite scenarios is 'The Hill of Death'. 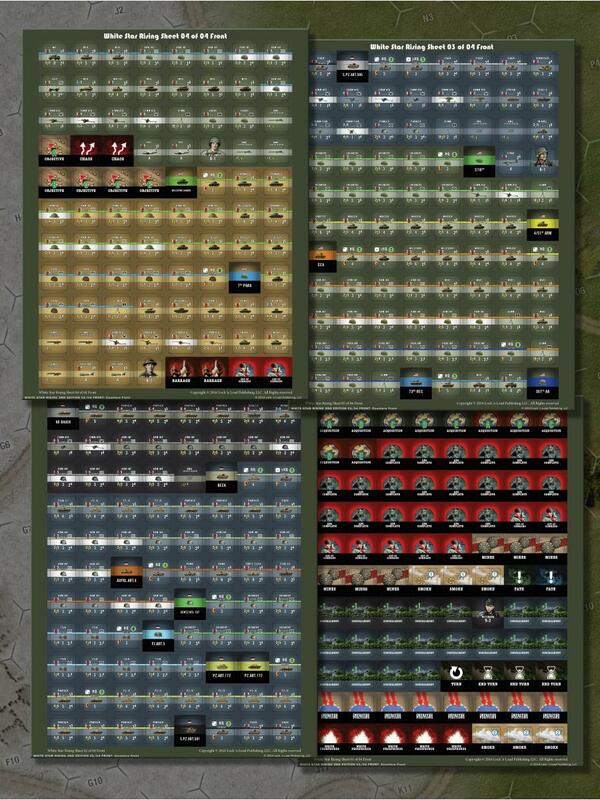 This is about the fight for Hill 112 in Normandy. Look for my forthcoming reviews of 'Heroes of The Motherland' and the 'Nations At War Compendium'. There is also a link to download them on the page.